Reserve bank of India Assistant applicants were waiting for RBI Assistant admit card 2017.Those applicants who have applied online application form for Reserve Bank of India Assistant posts. 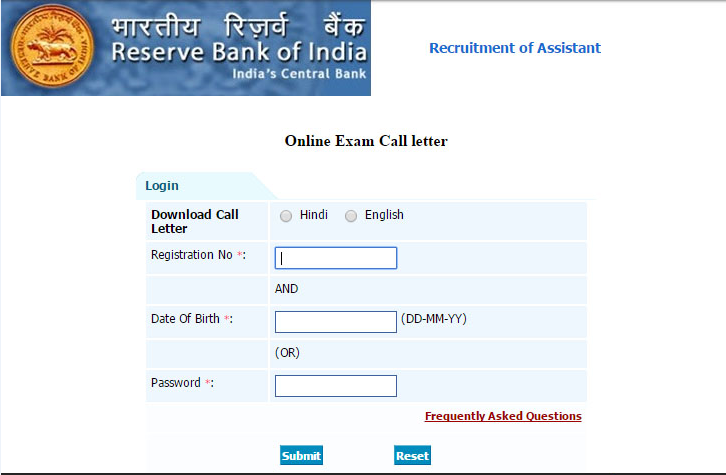 They will be soon able to download RBI Assistant Call letter from the RBI official website on before the RBI Assistant Exam. Interested candidates can follow below mentioned some points for your help. 3. Fill their required data like Registration number, Date of Birth, Password (provided on RBI application form copy).